Hey Dublin, Startup Boost is back for 2018 and we're hosting an Info Night to make sure everyone knows about it. Each program is volunteer-lead by chapter directors. Startup Boost also runs in cities including Detroit, Los Angeles, London Seattle, New York and Toronto. 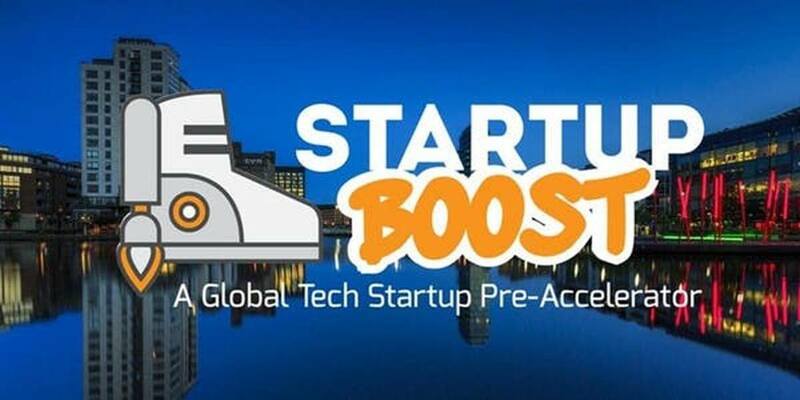 Startup Boost Dublin is run by Nubi Kay (Stripe), Finn Murphy (Frontline Ventures), Carolyn Quinlan & Gene Murphy (Bank of Ireland) who will all be there on the night to help answer your questions and queries or just to say hello! Pre-seed startups preparing to apply for an accelerator, raising a seed round or on track to begin generating revenue. Fun fact: 56 companies have already gone through Startup Boost programmes in 2017/18. Ok, I'm in. Will there be pizza? Of course! Grab a slice and meet the crew. Then we'll kick off with some general info, tips on how to apply and Q&A. Chapter Director Carolyn will then host a panel of previous Boost mentors and companies for even more insights and info. Please register in advance to secure your place.